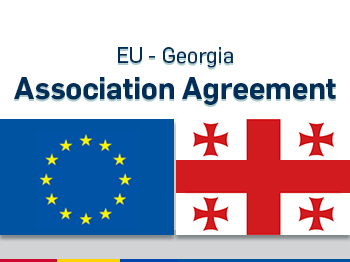 The association agreement (AA) concluded between the European Union (EU) and Georgia on 27 June 2014 includes among its goals to fight against illegal immigration and the promotion of inter-individual relations. The visa liberalisation process is intended to facilitate mutual understanding and rapprochement between cultures. The fight against illegal immigration at the borders of the EU has not been very effective because the EU must respect certain procedural rights, including the right to request asylum. There are plans for international cooperation to address this issue early on and preventively. This should make it possible to manage security risks and to avoid massive immigration, which is a burden on the EU budget and which also constitutes a major challenge for its integration policy. The EU is requiring that certain conditions be met before Georgian citizens can benefit from visa-free travel. This rationale of conditionality as presented in the association agreement does not seem to take Georgia’s socio-economic situation into account. Is achieving the conditions expressed in the agreement sufficient to justify removal of the visa requirement for Georgian citizens? Experience shows that the meeting these conditions may not be sufficient. As an example, the requirement of short stay visas was removed for most of the Balkan countries at the end of the 2000’s once the required conditions had been met, but abuse by asylum seekers forced the EU to change its approach. On 13 May 2015, the European Commission started to apply its new legal and illegal migration policy, seeking to reduce the causes of illegal immigration, particularly by starting a close dialogue with the EU’s neighbour countries. This turned out to be extremely difficult with the countries of the southern neighbourhood for obvious reasons, with security and conflict resolution aspects, which are linked to other issues, complicating the task. In the East, the cooperation has involved the concluding of association agreements with some countries of the Eastern Partnership (Georgia, Moldova, Ukraine) and also the Deep and Comprehensive Free Trade Agreement (DCFTA). Within the framework of these agreements, the establishment of a political dialogue to respond to Georgia’s aspirations for rapprochement with the EU while having it adopt a reliable policy for the management of migratory movements led, in 2012, to the elaboration of a visa liberalization plan of action which led in turn to three evaluations by the European Commission of the progress made. The Commission’s recommendations are intended to address among other things the issues of the integration of immigrants and the reintegration of Georgians who are returned to their country, where there is no National Employment Agency. Despite a decline in the level of unemployment since 2009, young people remain the category of the population most affected. Many of them simply see in this initiative the possibility of leaving Georgia permanently to establish themselves in one of the countries of Western Europe. Stopping young people from leaving is not an easy task and the risk that visa liberalisation will lead to a massive exodus is not a fantasy. The fear of the « Georgian plumber » is not yet present in the minds of Europeans because, while there was some basis for this a dozen years ago with respect to Poland and other countries of Central Europe, this is much less the case for the countries of Eastern Europe because the rights involved in visa liberalisation are unlike those stemming from EU membership. The Commission noted substantial progress in the transposition of the technical requirements, focusing in particular on the implementation of new generation biometric passports meeting international norms and standards and the establishment of surveillance at borders referred to as « Integrated Border Management » financed by the « Eastern Partnership Integration and Cooperation Programme » (EPICP). However, efforts remain to be made, as was indicated in the Commission’s latest progress report. The European Summit in Riga aroused hopes of promises and rapid visa liberalisation, but the EU countries merely applauded the efforts made and encouraged their partners to continue in this direction. Once all of the recommendations and conditions of the Plan of Action have been achieved, the European Commission can propose to the Council and to the European Parliament the removal of the visa requirement for Georgian citizens. However, the Georgian Plan of Action for visa liberalisation has four sets of requirements which do not seem to include the improvement of the socio-economic situation of Georgia within its conditions. It seems logical however that determining the « right time » for visa liberalisation should include, inter alia, an evaluation the economic health of the country and the standard of living of the population. The socio-economic component is all the more important given that the French Revenue Court has asserted that some of the foreigners requesting asylum in France are fleeing the economic situation in their countries of origin. Georgia was in 16th place in the French classification of the main nationalities seeking asylum in 2014 with 1611 asylum seekers, even though the State Council approved Georgia’s entry on the list of the so-called safe countries. Only 13% of Georgian applicants were granted asylum in 2014, conventional and subsidiary protections taken together. For the other asylum seekers, it was considered that they did not demonstrate a threat to their lives in the event of their return. More often this is simply due to the fact that people are fleeing their countries in the hope of finding a better life conditions and make erroneous declarations. The French position with regard to the EU’s immigration policy carries a substantial weight because it is the number four destination for asylum seekers and thus should not be underestimated. France’s asylum policy costs it 2 billion Euros per year. The Civil Service Bureau centralizes job offers in the public sector.